Go to the Projects tab. Scroll down until you see the sections titled "Backlink Checker". 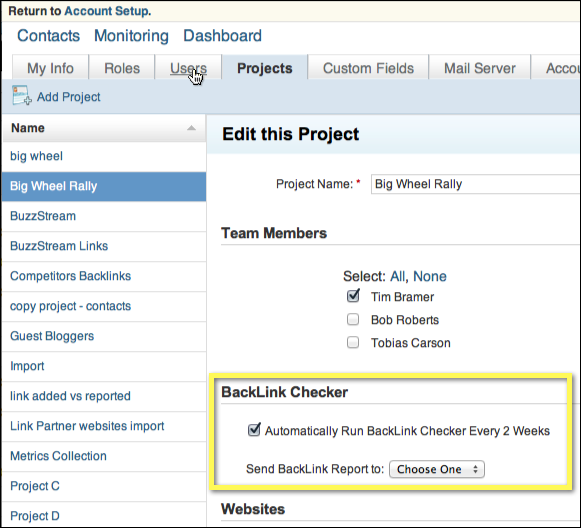 To Enable the Backlink Checker: Select the check box to run the Backlink Checker every 2 weeks and use the pulldown to select what Team Member (currently assigned to the Project) you want to receive the email. 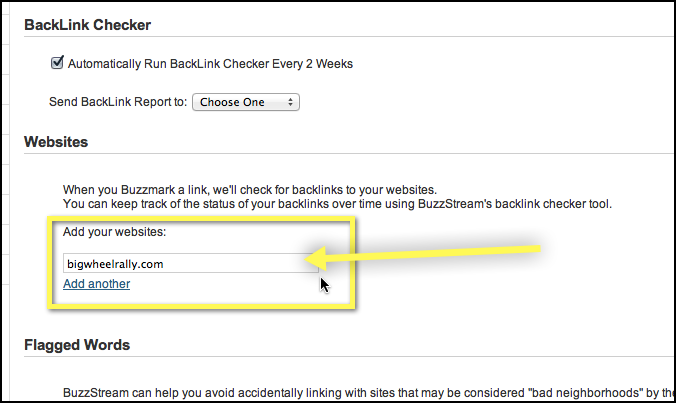 Scroll down to Websites, the section below where you just set up the Backlink Checker. Enter the website you want the Backlink Checker to find links for in the field. You can add multiple websites or subdomains of websites using the "Add Another" link under the field. If you want links in both the domain (domain.com) and the www version of the domain (www.domain.com) to be found by the Backlink Checker you must enter one website for the domain and another for the www. Select the Websites tab. 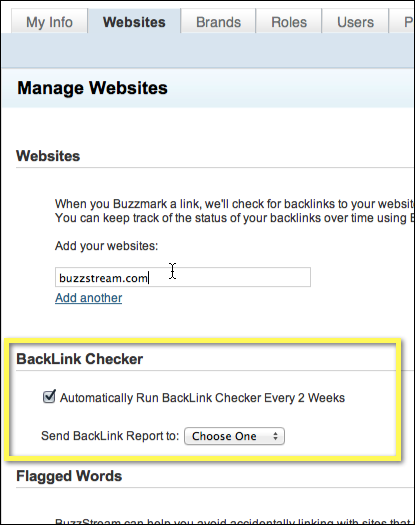 Find the Backlink Checker section and follow the same directions to enable the Backlink Checker.